SKU: LRBT002AB. Categories: Abalone, Bracelets. 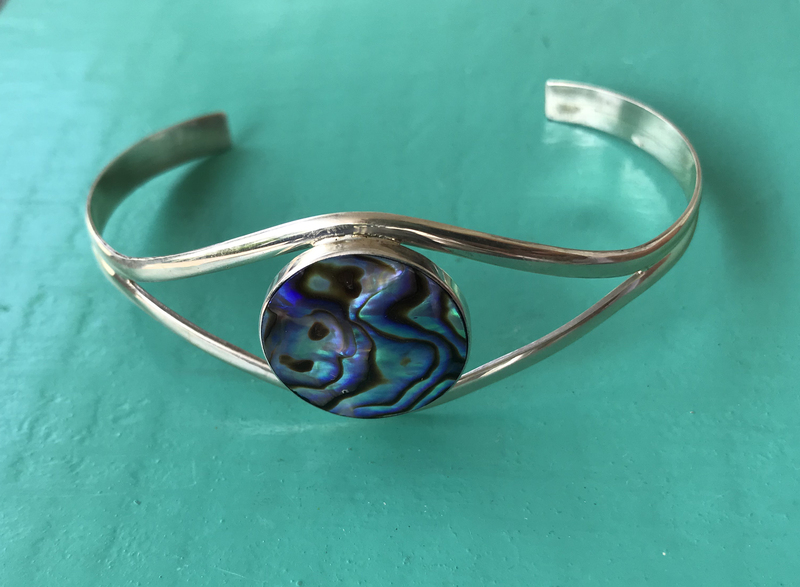 Tag: Sterling Silver Abalone Bangle. 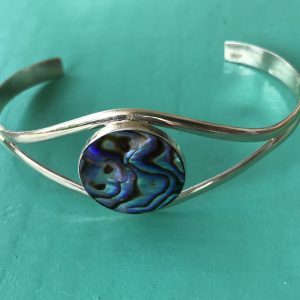 Sterling Silver Abalone Bangle. Simple yet elegant. It is open ended to easily slip on and off your wrist and adjustable to bend to suit your wrist size. 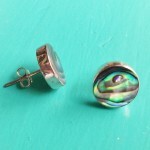 Sitting elegantly in the middle, set in silver, is a round piece of Abalone Shell. 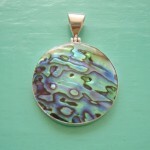 Abalone is a kaleidescope of colours – lts of blues and green with the odd hints of purples and pinks. 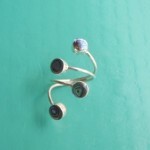 It shimmers and radiates natural beauty just like the ocean. This would make the perfect gift for someone who loves the sea, nature and seashells. This is the perfect accompaniment to any of our Abalone jewellery. 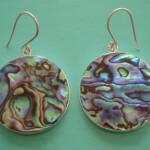 Take a look at our range of Abalone shell Earrings, Pendants and Rings for that complete look.